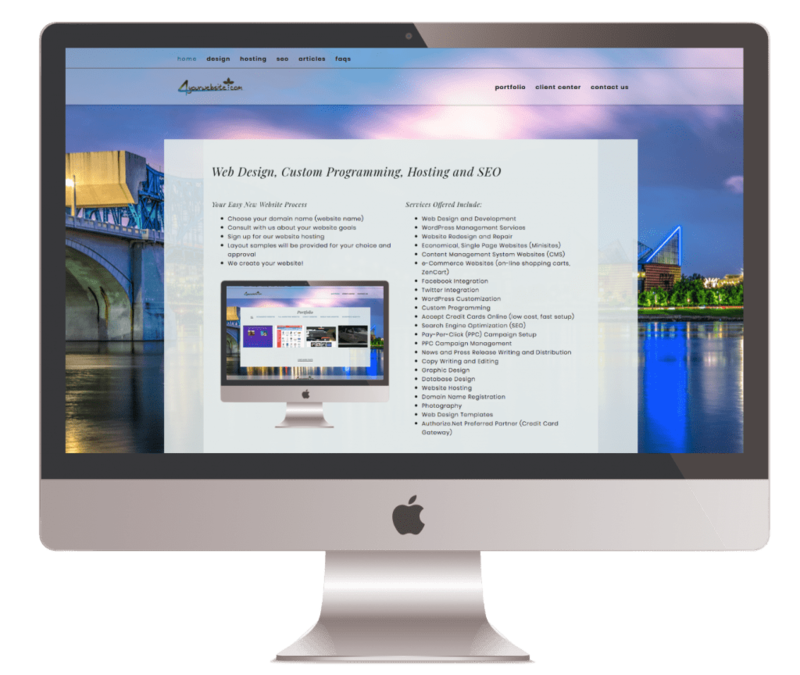 Based in Chattanooga, Tennessee (with its origin in Asheville, North Carolina), 4yourwebsite.com is an integrated, single-source web design and development company serving clients world wide. We combine function, creativity and technology to deliver a custom website that works for your business in a cost-effective way, making your business available all day, every day. If you need a website, please contact us so that we can get started on your project right away.